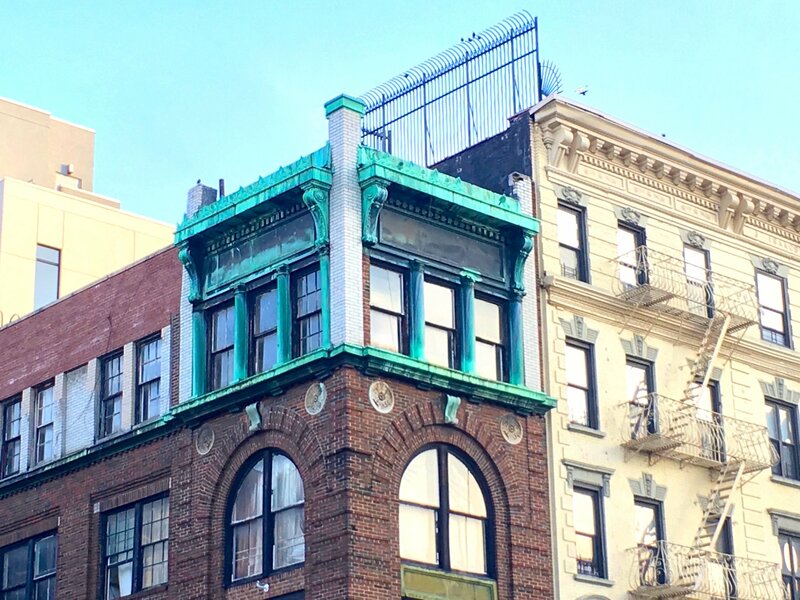 We found a wonderful article from our friends at Ephemeral New York about “A Mystery Copper-Topped Building in East Harlem.” It’s located on the corner of Second Avenue and 109th Street, and its history includes an Italian-owned bank during the early 1900’s. The bank, owned by F.M Ferrari and his partner, Giuseppe D’Onofrio were refused an application by the city to run their privately owned bank from that building. Check out more images, and read all that Ephemeral New York could find out about this building, and feel free to comment if you have more history. As a side note of interest, Landmark East Harlem has had their eye on this building. Stay tuned.